This [i.e. 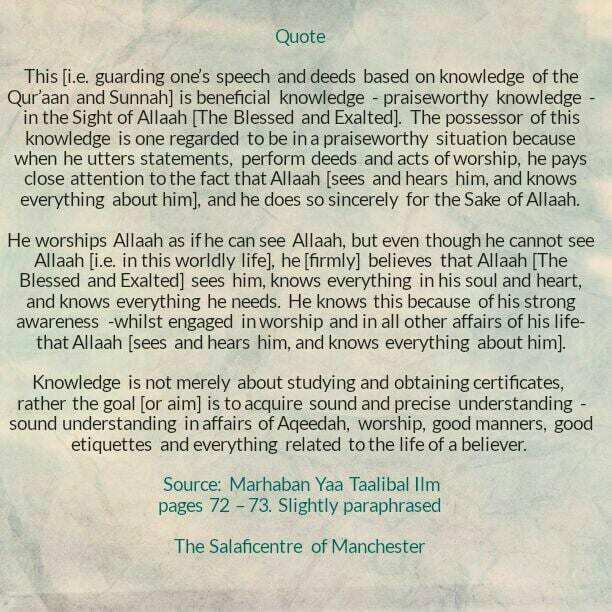 guarding one’s speech and deeds based on knowledge of the Qur’aan and Sunnah] is beneficial knowledge – praiseworthy knowledge – in the Sight of Allaah [The Blessed and Exalted]. 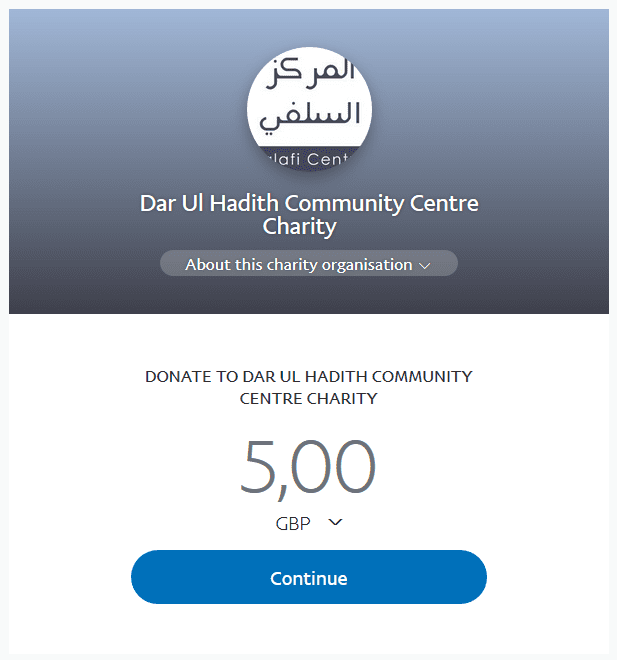 The possessor of this knowledge is one regarded to be in a praiseworthy situation because when he utters statements, perform deeds and acts of worship, he pays close attention to the fact that Allaah [sees and hears him, and knows everything about him], and he does so sincerely for the Sake of Allaah. He worships Allaah as if he can see Allaah, but even though he cannot see Allaah [i.e. in this worldly life], he [firmly] believes that Allaah [The Blessed and Exalted] sees him, knows everything in his soul and heart, and knows everything he needs. He knows this because of his strong awareness -whilst engaged in worship and in all other affairs of his life- that Allaah [sees and hears him, and knows everything about him].